Are you wondering how gymnastics routines are scored at the Olympics? 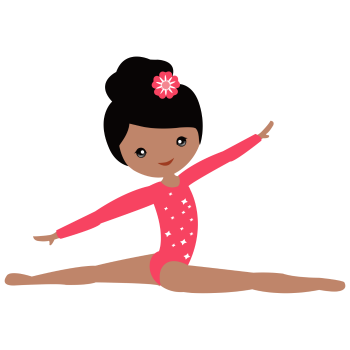 FIG Gymnastics rules are used, as opposed to the Junior Olympic (JO) rules used in scoring gymnastics levels 1-10. FIG stands for Fédération Internationale de Gymnastique and is the international governing body of professional gymnastics. Scoring at the Olympics is slightly different than JO scoring because the final score is composed of two different scores that are added together- the difficulty score and the execution score. This is done at the Olympics, the highest level in sports competition, in order to encourage gymnasts to not only perform their routines flawlessly, but to reach for the highest level of difficulty possible. Since there is no cap on the difficulty score, gymnasts will continue to strive to be able to perform harder skills and more difficult combinations. As I mentioned above, there are two components of the final gymnastics score: the difficulty score, and the execution score. The audience is shown both scores. The difficulty score is an evaluation of the difficulty of the skills and connections in the gymnast’s routine. This score has no maximum value. The execution score is an evaluation of how well the gymnast executed the skills in her routine, along with deductions for technique and how the routine was composed. The execution score is judged starting from a 10.0. Penalties are neutral deductions such as stepping out of bounds. All of the rules are outlined in the FIG Code of Points. The difficulty score is the evaluation of the routine based on three different criteria (this applies to Bars, Beam and Floor). Difficulty Value: The difficulty values (these are assigned in the Code of Points) of the eight hardest skills the gymnast performs are added together. Composition Requirements: There are 5 different requirements each of them worth .5, for a maximum of 2.5. These are similar to special requirements in the JO Program, and require the gymnast to do different types of skills (saltos, dance elements, etc). Connection Value: Combining two hard skills together will earn the gymnast additional points (.1 or .2 for each connection). This is similar to “bonus” that gymnasts in levels 9–10 can earn. One example of gymnasts earning connection value is on Floor you will notice some gymnasts do jumps at the end of their tumbling passes. This is because doing a jump after a very difficult salto earns the gymnast an extra .1 of connection value. For Vault, gymnasts receive the difficulty score assigned to the vault they competed. In theory, the Difficulty Score is unlimited, there is no maximum value. This encourages gymnasts that want to be competitive at high levels to do very difficult skills. The execution score evaluates how well the routine was performed in its entirety, along with the individual skills. It also takes into consideration how the routine was composed, the “artistry” of the routine. Judges are looking for routines that are very enjoyable to watch, with good flow, and with difficult skills spread throughout. For the execution score, the judge starts at a 10.0 and subtracts deductions from there. A 10 is the max value of the execution score. After the execution score is calculated, it is added to the difficulty score and any penalties are subtracted. At the Olympics, there will be three judging panels with a total of 9 judges. There will also be line judges (to watch the out-of-bounds lines to see if a gymnast steps out) and timing judges (to keep time and ensure a penalty is applied if gymnasts go over the time limit). There will be 2 judges on the Difficulty panel, 5 judges on the Execution panel and 2 judges on the Reference Panel. The reference panel judges evaluate the execution of the gymnast’s routine, and their scores are only used if there is too big of a range between the execution panel’s scores. They are basically a back-up panel in case something goes wrong. If a coach thinks their gymnast’s score is too low they can submit an inquiry. Coaches are only allowed to inquire about the difficulty score. They must submit the inquiry before the completion of the next gymnast’s routine. A panel will re-evaluate the difficulty score, and use video review if necessary. There is a fee to inquire about a score. If the inquiry results in a change in the gymnast’s score, the fee is returned. If the inquiry does not result in a change in the score, the fee is donated to the FIG foundation. Inquiries are important if the coach thinks the judges made a mistake when evaluating the gymnast’s skills for difficulty. This is a way for them to contest the score, and ask for a second look. And an inquiry can lead to important changes in the ranking of the gymnasts. 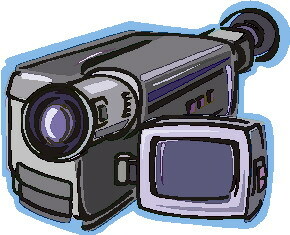 For example, in the 2012 London Olympics, Bela and Marta Karolyi requested a video review of Aly Raisman’s Beam routine. The judges re-evaluated the routine and awarded her an extra tenth on her difficulty score. As a result, she placed third on Beam instead of fourth, the difference between receiving a medal and not receiving one. The goal of the Olympic gymnastics scoring process is to have the gymnast that not only performs the hardest skills, but also executes them the best to be the winner of the Olympic games. 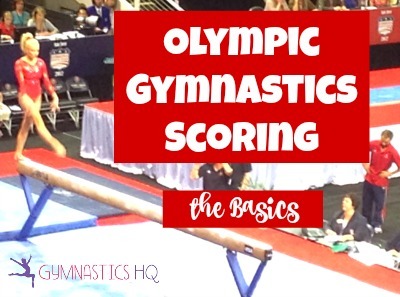 The scoring system is designed to rank the gymnasts on the two factors of execution and difficulty. They want to reward gymnasts that push the boundaries in the sport, and gymnasts that perform routines that are pleasing to watch and awe-inspiring. Is your dream to go to the Olympics? Check out How to Become an Olympic Gymnast. I read on a website that the highest and lowest scores the judges award are discarded and the remaining four are averaged, how do you get six scores? Next Post: The 2016 U.S. Women’s Olympic Gymnastics Team: Who They Are Previous Post: Can you pass this Gymnastics Scoring Quiz?